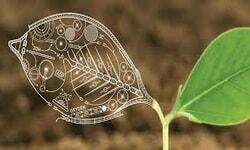 The Division of Food Systems and Bioengineering includes multiple academic and extension programs. Bioengineering provides an efficient solution for food crises. There are four academic programs in the Division: Agricultural Systems Management, Biological Engineering, Food Science, Hotel and Restaurant Management. The lack of knowledge and awareness regarding the current situation, problems and scientific progress of most recent technologies and their applicative potentials contribute significantly to the low development and implementation of novel approaches related to bioengineering of foods. It improve health and quality of life by advancing medical technologies for disease diagnosis and prevention; and enhancing the use and delivery of agricultural outputs as high-quality food and non-food products to consumers in a safe, efficient and environmentally friendly manner.